The harmful effects of free radicals have been known for decades. Lets look at oxidative stress as it relates to free radicals and aging. Thus the free radical theory of aging, is one of the cornerstones of the concept of antiaging. Dr. Denham Harman first proposed the free radical theory of aging in the 1950’s. Simply put it proposes that metabolic energy production produces toxic byproducts called free radicals, which damage cellular DNA and are a primary cause of aging. You can think of free radicals somewhat like the hydrocarbon exhaust of an internal combustion engine. The engine exhaust is toxic, and is produced by the process of turning gas into mechanical energy through combustion in your engine. When the mitochondria of your cells produce energy, they throw off molecules called free radicals in the process. These molecules are called radicals because they contain “unpaired electrons,” which are single electrons that occupy an orbital path. When these unpaired electrons get near other molecules that DO have electron pairs, they grab an electron to balance themselves off. This stealing of electrons causes damage in the molecules they come in contact with, and creates damage to DNA. Since the mitochondria do their normal energy production aerobically which means in the presence of oxygen, the harmful effects of free radicals is called oxidative stress because it stresses the protective mechanisms of your cells. When DNA is damaged, it affects the function of cells when they divide and form new cells. This process can lead to cancer which is essentially cells dividing with bad DNA encoding. Aging can thus be thought of as cells replicating with bad instructions. This is a very simplistic explanation of the harmful effects of free radicals, but it is essentially accurate. It is more important to focus on how you can prevent or cut down on oxidative stress and avoid the harmful effects of free radicals and aging. 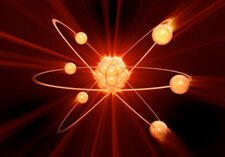 There are many chemical reactions and processes in the human body that create free radicals. The two ways that we actually have some control over involve eating and exercise. Smoking and drinking of alcohol also produce them. Again, I will admit this is somewhat simplistic, but again the focus is on taking action to prevent it. Foods that are prone to oxidation are ones that contain polyunsaturated fats, because they are unstable in the presence of light, heat, and oxygen. This is why almost all vegetable oils in any form should be avoided. They are polyunsaturated, and they absolutely should not be heated. Cooking with vegetable oils is one of the worst things you can do if you are concerned with your health! I would strongly advise not cooking with any other fats or oils as they will not stand up to heat, and will release toxic free radicals. Avoiding the harmful effects of free radicals is about eating foods as close to raw as is practical (and palatable). There are sources of information on the net that go into more detail about this, and there is a very good book about fats and oils by Dr. Udo Erasmus that will explain everything you ever wanted to know on the subject. It is a good investment. Exercise can increase the production of free radicals as it increases metabolic activity and body heat. Aerobic exercise in particular increases radical production as the body utilizes oxygen while performing exercise. The reactive particle is called “reactive oxygen species.” It is part of the reason that distance running is so stressful on the body. Anaerobic exercise results in less free radical production in the body due to the fact that less oxygen is consumed. You have only to compare the body of a sprinter with a distance runner to see which appears healthier to you. Strength training is an example of anaerobic exercise as is sprinting. If health is your main concern, you would be wise to avoid distance running in favor of sprinting or interval training. You will get the same cardiovascular benefits if you do it properly, and will actually be healthier for avoiding the oxidative stress of aerobic training. This practice just recently became known to me. It involves puting your bare feet on the ground or even concrete and absorbing electrons directly from the ground. This is called "grounding" or "earthing," and it has be ability to suppress free radicals in your body because the free electrons you absorb fro the Earth act as antioxidants in your body. Check out my page on "body grounding" for more information! Antioxidant supplements are just what the name implies, they neutralize free radicals by preventing the “electron stealing” reaction that is involved with oxidative stress. They “quench” the reaction by providing a free electron that the reactive molecule needs. This is like throwing cold water on a fire, and the theory is that antioxidant supplements can thus protect you from the harmful effects of free radicals. Antioxidants can have a downside though. They can function as “pro-oxidants” under certain circumstances. A good antioxidant formula will contain the proper nutrients in the right balance to avoid this problem. The Life Extension line of anti aging supplements are particularly good in this regard, as they are formulated so the ingredients work synergistically together. These are but a few of the many compounds that have antioxidant effects. They most often work synergistically with each other, much better than in isolation. Again a good nutritional supplement formula will contain a number of these powerful and effective antioxidants in the right combination. The best approach to the problem of free radicals and aging is to identify and avoid the major causes of free radical production, and ensure that you get enough antioxidants through diet and anti aging supplements to prevent damage. The free radical theory of aging acknowledges that reactive molecules play an important part in the aging process and chronic disease. Reduce oxidative stress and the harmful effects of free radicals with the strategies above to ensure a long and healthy life!